Are you looking for another thrilling and exciting game that will entertain you for hours? We have the perfect match for you! 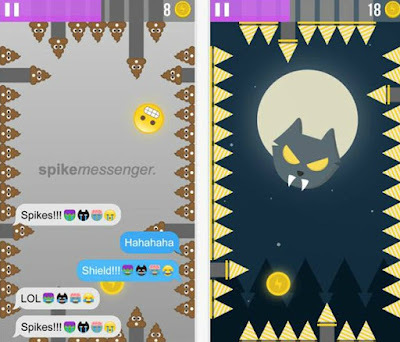 Download the new amazing game that's called Spike Pit. Created and developed by Jordan Melendez, this game will engage you and make you addicted very quickly. Launched recently on the iOS platform, it offers you a unique gameplay with different characters, stunning backgrounds, very pleasant melodies and sound effects. Spike Pit has its own authentic and unique gameplay with different characters and goals. The main goal of this arcade game is to keep the character Frank in the middle, who is trapped in a box he has to escape from. Keep him in the middle while avoiding the moving spikes around the box. If the spikes touch your character you lose the game. But you can always restart it and continue to play and reach a higher score. While playing with your character and avoiding the spikes, you will be able to collect coins that you can use to unlock the other 10 characters and have more fun. Besides collecting coins and unlocking new entertaining characters you can buy them with simple app purchases. The game has different stages and difficulties that you will need to face and get high scores. The game is offering an option to select any language you want to. Play and compete against your friends and family. Download it now for free only on the App Store.